The A.T.A.C. Concept: The proven ATAC dual-arch retention system guarantees easy engagement and dependable release in all conditions. Low spring tension of the ATAC design causes less friction in extreme conditions, and along with an optimized release angle (13° or 17°), provides consistent entry and release, allowing MTB riding with total confidence. 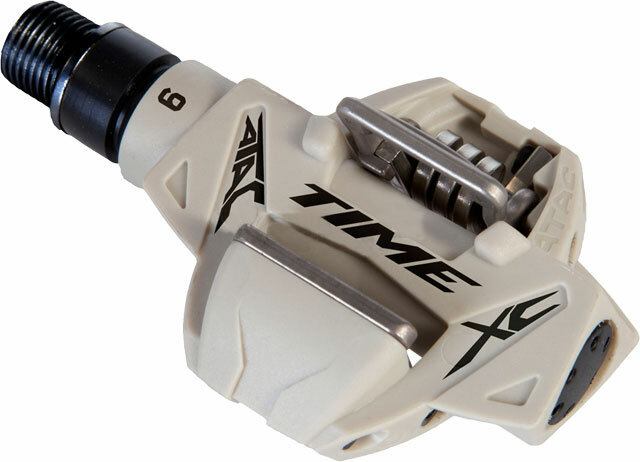 When other pedals pre-release or jam, with ATAC you get quick and easy release when and only when you want it, no matter what the terrain may be.The ATAC XC 6 pedal features a steel axle and composite body for light weight and durability. Weighs 293 grams per pair.